Here are your links and attachments for frequently used documents and information. Elementary School enrollment tracking tool. Submitted to enrollment@buffalodiocese.org on the first of the month. All schools should include in their student handbooks the statement that "participation in extracurricular activities, including sports teams, field trips, retreats, and graduation exercises is a privilege and not a right, and the school has the duty and right to impose conditions on students' participation." Please note that conditions for participation should be written in the handbook, and the list should conclude with the statement: "and any other behavior deemed unacceptable by the principal." Use this form to request the posting of School employment vacancies. Liability and medical release for students to participate in school field trips and events. Contains all resources related to school safety. The ED-1 Records Retention and Disposition Schedule indicates the minimum length of time that schools must retain their records before they may be disposed of legally. Resource page for student health related issues and procedures. 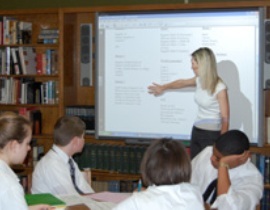 For teachers with less than three years regular full-time teaching experience. Parent contract for student's tuition and fee schedule. Now an interactive PDF for your website!